Perfect for family or romantic getaways! A handful of stylish cruise ships offers visits to ports on the major Hawaiian Islands: O‘ahu (Honolulu port), Maui (Kahului or Lahaina), Kaua‘i (Lihue) and the Big Island (Hilo and/or Kailua-Kona). Most ships on an interisland route depart from Honolulu, but some originate from Maui. 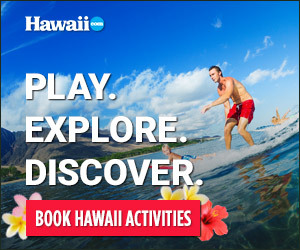 Choose from 7-, 10- or 11-day interisland cruises year round, with longer stays in port for exploration and adventure. On the Garden Island you’ll make landfall at Nawiliwili Harbor, only 5 minutes from Lihu‘e. Once a major sugar cane center, Lihu‘e (population approximately 10,000) is the Kaua‘i County seat and home to some must-do historical stops including the Kaua‘i Museum, Grove Farm Homestead, and a variety of old churches. Catch a taxi and tour the sunny beaches and historic towns of the island’s south shore, or take a quick trip north to scenic Kilauea and Hanalei.